With a family law practice tailored to meet the diverse needs of clients in Greater St. Louis and the counties north and west of the Missouri, the law firm of The Bellon Law Group can handle property division issues for traditional middle-class families, dual-income professional couples, family business owners and people whose property settlement interests will be affected by the terms of a prenuptial agreement. Contact our office in St. Charles for a evaluation of your options. As an equitable distribution jurisdiction, Missouri aims more for an equitable, fair or just division of marital property between divorcing spouses based upon their particular circumstances than a strictly equal distribution, but it's still important to get an accurate estimate of the overall value of the property subject to division. Once we know what an equitable division would mean in practical terms for you, we can address the issues that would justify a larger distribution in your favor, or analyze the reasons your spouse has put forth to support a demand for a bigger share. Especially in complex marital estates, the issue of characterization can be important: Is a particular asset marital property subject to division or separate property to be excluded from the settlement? We inform you of your rights on characterization issues, and we can protect you from the need to make unnecessary concessions. 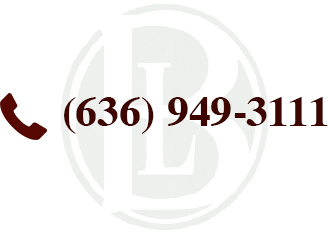 At The Bellon Law Group, our lawyers combine an ability to focus on the details essential to the resolution of a specific marital property or debt division problem while keeping your big-picture interests firmly in mind. For more information about the best ways to protect your financial interests in a Missouri divorce, contact a St. Charles marital property division attorney at The Bellon Law Group.